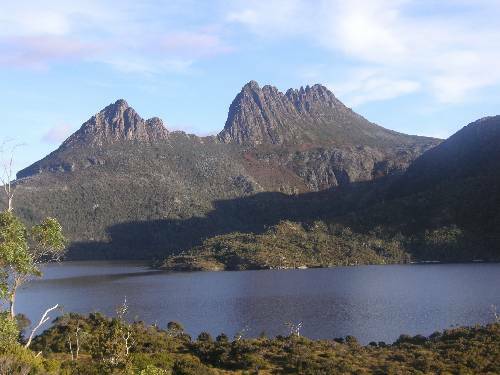 Blog from Hobart, Tasmania | Margaret in Wonderlands.. So my last week in Sydney consisted of shopping for flip flops and some other bits, booking a flight in August to Verona (for Sams wedding) and trying to sort a place to stay there and saying goodbye to people. On the Wednesday I went to a play with Geraldine called Snow on Mars. Thursday I went to Bondi Junction and met Danny and Caroline for a few drinks in the c*** and Bull. On the Friday I went to Bungalow 8 on the Kings street wharf with Geraldine, Jess, Danny, Mark and Jenny and Matt came down. Its a lovely bar and I got smashed on the champagne we were drinking!! I passed out back home and woke up half naked with the light on at 4am. The next day I was in a proper state and Jess was my saviour bringing me MaccyDs at half 6 in the evening. I then had to play catch up and sort my stuff out for leaving and pack my bag. I was due to do a 18km hike on the Sunday but I did not sleep a wink on the Saturday so I had to give it a miss. Me and Gez just chilled out for the day and she made me some lovely food.. beetroot dip, dahl, tabbouleh and coleslaw. She dropped me off and I headed for my coach to Melbourne. 12 hour bus ride at 8pm. I was a bit concerned i would be late for my flight as 2 hours into the journey an alarm started going off and we drove the rest of the journey with the back engine door open. I made it to Melbourne and was at the airport early. Actually in time for the earlier flight. My flight was delayed so I asked if I could go on the earlier flight and luckily they agreed for free. I was soooo tired so just wanted my bed!! I got to Hobart and met Beth in my room and Sefie and Carola who were up for the road trip. That evening Sandra my German buddy who was my road trip partner and Beth headed for a wander around Hobart to check it out. I met with Carola and Sefie and we discussed the trip and sorted out a rough route. The next day we headed to collect the car. We ended up with a Toyato Carolla and we set off to Port Arthur. It was a lovely tour and we saw all the ground and went on a short habour cruise to look at the Boys prison island and the Isle of the dead. This was where the officers and their families and some convicts were buried. We did a walking tour which explained a bit about the prison and the people that were sent there. Port arthur is also known for the fact a madman went beserk there in 1996 and shot and killed 35 people and wounded another 19. It was in action for about 40ish years (1833-1877) and they produced a lot of goods and materials like boats, stone and bricks. They would work 15 hour days and then have to go to school as they saw this as a reform process. Young boys were also sent there from Ireland and England and back then a child as young as 5 could be executed for 'stealing'. They also used to whip the prisoners with long whips with knots on them ripping the flesh. To stop people escaping they tied some violent dogs together so people could not pass and back then not many people could swim so that was not an option. A group did manage to escape on a boat but were recaptured up the coast. The prison closed in 1877 and alot of the buildings were destoryed by bush fires and people stealing bits. It was interesting to see and the grounds were gorgeous. After Port Arthur I drove us up the east coast to a national park and Coles Bay where we spent our first night. The next day we did a 2hour return hike to the Wineglass Bay lookout and down to the beach. It was pretty hard work and a lot of steps but very rewarding. The day was not particularly great but it started to turn nice as we headed back. I did manage to get sunburnt quite badly so was conscious of trying to keep it covered up. We stopped in Bicheno for some lunch. Our next stop was St Helens and the Bay of Fires up the east coast which were some more beaches but the weather was not great so we had a look then headed for the Columbia falls on the way to Launceston which was gorgeous. We saw a lot of waterfalls in Tassie. Tassie has stunning national parks and is known for its great hikes and walks and of course the Tasmania devil. We ended up in Launceston that evening and made a big heap of nachos which was delicious and certainly put to shame the hike we had done that morning. The next day we headed off for the Franklin National park which is the biggest one but sadly it was a crappy day and poured the whole time we drive there. Carola and Sefie decided to come back to Hobart as the weather was bad. We saw Nelson Falls and Lake St Clair which is the deepest freshwater lake in Australia. It was miserable so I took a few pics and we headed off for Mount Field National park to see the Russell falls. See how many waterfalls there were :) We did some walks around the park which was usual were gorgeous! Carola and Sefie went to a wildlife park as well. We got back to Hobart around 6pm and spent the evening chilling and doing washing. The next morning me and Sandra headed for the Salamunca Markets which were really good. They had everything really there and we had some tempura mushrooms and a lovely German hotdog with some cabbage and onions and sauce. We sat in the park for the next hour and a bit and enjoyed the sunshine. I then caught by bus back to the airport and back to Melbourne.. Tasmania was everything I expected, I had heard so much about it and I certainly was not disappointed. It was great to go and visit it and do a lttle road trip! It was also great to get behind the wheel and get driving again! !